Subscribe to our newsletter & receive a RECALCULATE pdf chapter instantly. 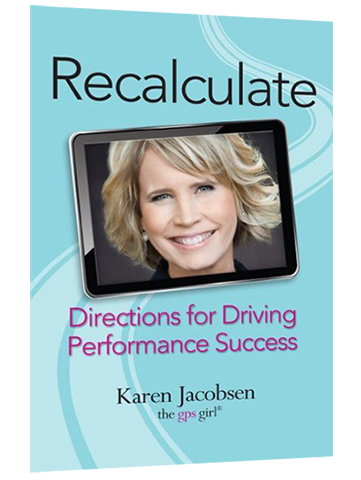 Her speaking voice is in over 100 million GPS units and 300 million smart phone devices world wide, but Karen Jacobsen has also recorded thousands of scripts for television and radio commercials, IVR and corporate voice systems. Voted the #1 downloadable voice in the world, Karen is in demand to create custom voice systems for clients internationally. Email booking@thegpsgirl.com to have The GPS Girl voice your next project. 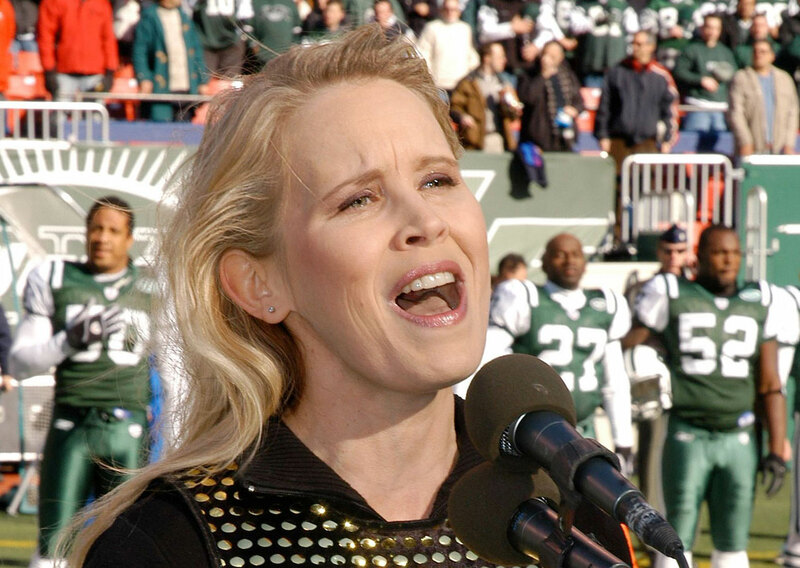 The GPS Girl has proudly performed The Star Spangled Banner at many major sporting events including a New York Jets game at Giants Stadium for 80,000 people. At Suncorp Stadium in Brisbane, Australia for a capacity crowd of 52,000, Karen sang the Aussie anthem at a Tri-Nations International Rugby match between the Wallabies and South Africa. Appearing as a guest on national television, radio and print publications, Karen is regularly requested to comment on a wide range of topics. The GPS Girl has enjoyed wide international media coverage and hosts her own web series “Navigating New York with The GPS Girl®,” but she was told she had really made it when she was a clue in the The New York Times crossword puzzle.